In partnering with parents, our aim is to enhance and enrich the education that students are already engaged in at home and in other aspects of their lives. We provide opportunities in which every student is known, celebrated, and encouraged to discover and develop their innate, God-given gifts in an environment that teaches Christ-centred values. Grace Christian is a provincially certified private school following the curriculum directives of the P.E.I. Ministry of Education while presenting course content from a Biblical worldview. Through our highly educated, qualified staff, GCS provides a myriad of high school courses that allow students to pursue any post-secondary program. All high school courses are university preparatory, and the minimum grade to receive a course credit is 60%. Additionally, GCS is an Advanced Placement (AP) certified school, allowing students to write any AP exam and providing select AP courses throughout the year. For detailed high school course descriptions, please click here. The culture and climate in Senior High displays each student’s own learning initiative, as evidenced in a literary discussion circle, competing in a robotic coding competition, holding a mock trial, designing an abstract canvas, or composing individual musical selections. As a school that embraces the 21st-century mantras of critical thinking, collaboration, communication, and creativity, GCS provides all the tools and technologies to support hands-on, experiential, and project-based learning as it develops the leaders, thinkers, and innovators of tomorrow. 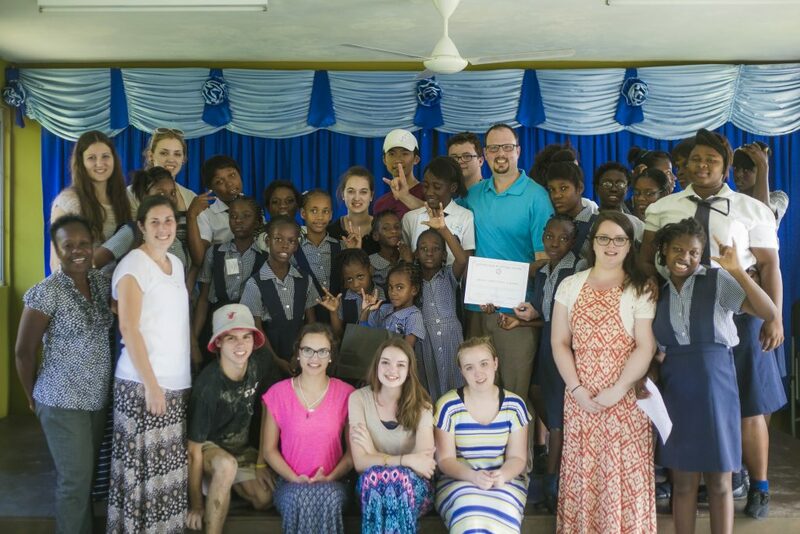 To broaden their understanding of the global community, high school students have the opportunity to participate in international educational tours and, for students in grades eleven and twelve, to volunteer to be part of a service trip to the island of Jamaica.